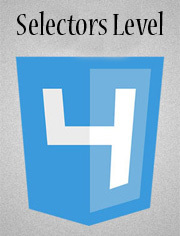 Selectors level 4 specification is an evolving draft, not yet an official standard. You can’t rely on draft document as it may change in the future. There was no way to select the parent container in CSS but in the W3C draft of selectors level 4, parent selector has been introduced. You can select element other than the last one. Now, it’s easy to style the fieldset on the focus of an input element. It takes the selectors list as an argument and apply the styles. This controls the styling of link more smartly, any-link combine the a:link and a:visited link into one. And using local-link, you can get a different link style of any specific page or based on the domain. Applying style to a column in a grid will be possible in CSS selector level 4. Imagine a grid with different plan options and a specific column (plan) need to be highlighted. Addition of these cool selectors is really mouth-watering but It will take some time to standardize these specifications. At least we will have to wait till the browser vendors start implementing these features. This speedy evolution of the web making it more interesting and dynamic. I had to read this, thx for putting it together. I agree, some mouth-watering things to come. With CSS3 and HTML5 you can do more without requiring JS, etc … such as animations, graphics. With these selectors getting cleverer and having more options to traverse/filter out a dom, it’s exciting man. The parent selector is huge. There were performance issues which kept the from implementing it earlier – I guess they figured it out. Why would anyone not want those 4 features to be implemented? Parent selector would be fantastic, especially on CMSs. Very nice! Love the selecting of parent elements. I wish they would throw in some mix-ins to help bridge the gaps a bit between processed CSS and pure CSS. Even variables would be nice. But I wonder how many different ways IE will mess this up for everyone. Speaking of IE messing things up,as the numbers of IE users continually decreases and Chrome climbs, how meticulous are your development hacks for IE 9 and below? Yes, there are still those users out there. Can anyone tell what is the main use of :past ,:future and :current pseudo elements in css4.? And the exact Browser versions which support css4 selectors.? @Chandrakanth: First to clear, there is no CSS4. These are the advance level modules which is called CSS selectors level 4.
:past, :future and :current pseudo elements are time-dimensional Pseudo-classes. It’s in the working draft stage. I don’t think for now, there is any browser support for these pseudo elements.